able to troubleshoot and repair common wiring issues in the home. who is professional, experienced and certified to do the work. be sure to choose a professional residential exterior electrician. Bianco Electric of Oceanside has helped many clients since 1986 and our highly trained and experienced staff has built our brand and reputation over the span of 30 years. This milestone could not have been achieved if it wasn’t for them. We are a local business and have operated in Oceanside for many years. We are familiar with the local law, code, regulations and municipality processes. Bianco Electric believes that a business should always prioritize customer satisfaction. We will treat your project with the upmost care and finished in an efficient manner. Bianco Electric Oceanside specializes in Service Upgrades, Meter Upgrades, Panel Upgrades, Breakers Upgrades. We also upgrade sub panels from 100amps to 150amps and 200amps as well. 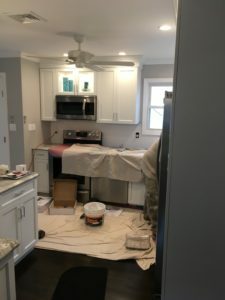 Electricians at Bianco Electric Oceanside, offers professional electrical repairs and other various electrician services in Oceanside, New York. We are a leading Residential Electrical Contractor in Oceanside. When power supply is critical and you need an emergency service provider in a moments notice. We are on standby 24 hours a day, 7 days a week for all your Oceanside Electrical Emergency needs.